The Common Sense Digital Critical Edition is the creation of Kate Johnson, Marie Pellissier, and Kelly Schmidt, public history graduate students at Loyola University Chicago. The project stemmed from two courses held in the spring of 2017: Dr. Kyle Roberts’ The Revolution Will Be Digitized, and Dr. Elizabeth Hopwood’s Digital Humanities Design. This project has been developed with collaboration and support from Loyola University Archives and Special Collections, which has provided access to the digitized pages of Common Sense and the Center for Textual Studies and Digital Humanities, which has provided platform support. Kate Johnson is an archival assistant at the University of Northern Colorado's Archives and Special Collections. She earned her M.A. in Public History from Loyola University Chicago, and her B.A. in History and German from the University of Northern Colorado. Her research interests are in women's history, cultural history, and early America. She has worked in museums and public history institutions for over ten years, including holding positions at the Windsor Museum, Thomas Jefferson's Monticello, The Women and Leadership Archives, and the Frances Willard House Museum. Marie Pellissier is a Ph.D. student in early American history at the College of William & Mary. She holds an M.A. in Public History from Loyola University Chicago, and a B.A. in History from Boston College. Her academic interests include early American history, material and print culture, women’s history, and food history. After completing her Ph.D., she hopes to pursue a career in public history. Kelly Schmidt is a Ph.D. candidate in United States History and Public History at Loyola University Chicago, where she studies eighteenth and nineteenth century American history, particularly in the area of race, slavery, and abolition. Kelly has pursued her interests in museum work at the Heritage Village Museum, Cincinnati Museum Center, National Underground Railroad Freedom Center, Auschwitz-Birkenau State Museum, and the Colonial Williamsburg Foundation. She plans to continue in the museum profession after completing her graduate work. 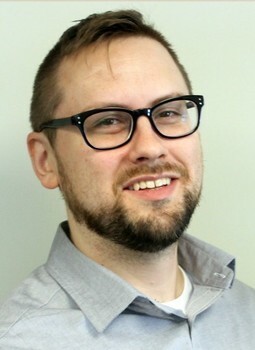 Tyler Monaghan is a student in Loyola University Chicago's MA in Digital Humanities program and a fellow at Loyola's Center for Textual Studies and Digital Humanities. He previously worked as a social studies teacher in Chicago Public Schools and holds his BA in Secondary Education and History from Northeastern Illinois University.